Many years ago, a winning strategy was to use exact match domains to get a boost in the SERPs for specific keywords. The idea was, if you wanted to rank for “strawberry chapstick”, that registering strawberrychapstick.org would help you rank higher in Google because the keyword is in the domain. In 2016 and beyond, this is a bad practice. Before I get into branded searches, let me nail this concept down about exact match domains, because some habits die hard – and even today there are still many SEOs who would prefer to buy a domain with exact-match keywords in them. 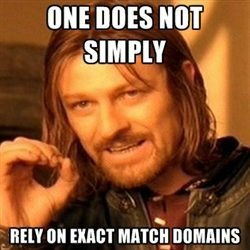 It is true that there used to be a bonus for exact match domains. I used to manage a blog network of over 1000 exact match domains. 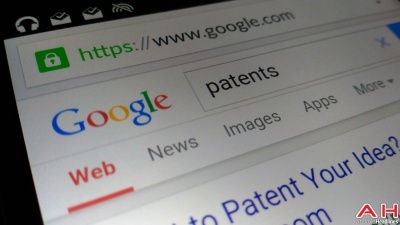 One day, Google announced there was no more benefit associated with EMDs, and shortly thereafter rankings dropped across the board, dwindling down to 10% their former traffic. There is no longer any algorithm benefit to owning an EMD. 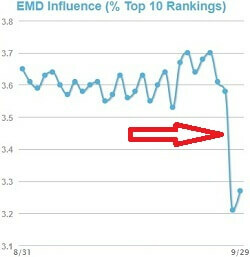 Next, I’ve seen evidence that EMDs actually harm your ranking. 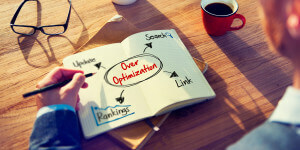 The reason is that keywords in your domain are a form of optimization. It is extremely easy to trip Google’s keyword stuffing penalty filter by using keywords too often on your pages. There are “good” uses of keywords on a page, which constitute the title, and used sparingly in content within certain densities. Then there’s “bad” uses of keywords, which easily push you into over-optimization – including using the keyword stuffed in tags on the page which are outside the main content blocks, being used too often in links pointing to pages where there are a high percent of anchor texts with exact keywords to a page – and finally: having the exact match keyword in the domain. These bad, over-optimizing uses of keywords will penalize your page so it is not even seen in Google’s SERPs. Having the keyword in the domain is extremely optimizing. Where you might need to keep your density from 1% to 1.2% for a particular keyword, by introducing the keyword directly into the domain as an EMD, it is so optimizing that it might swing the “sweet spot” for keyword density from .5% to .7%. If I’m losing you, check out my article series for on-page SEO – it will be a real eye opener for unleashing your rankings. My point here is these over-optimizing uses of keywords, such as within the domain itself, is a “junk food” type of optimization which often results in keyword stuffing penalties. The final reason that using keywords in a domain is the links you receive. If you aspire to have your domain rank extremely well using whitehat techniques, sooner or later you’re going to have to convince other people to start linking to your site. When they do that – if your domain is an exact match keyword, they’re likely to use that keyword in the anchor text as they link to you. This is actually a bad thing. EMD + exact match keyword in anchor text is so highly over-optimizing that you are certain to suffer ranking penalties, and likely will not be seen in the top 1000 for queries you could otherwise rank for. That is the wrong way to pick a domain. Which is the correct way? Every money site you have needs to be branded. I’ll explain what that means, and then how being branded influences your rankings. 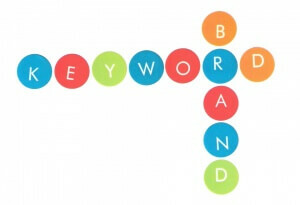 When someone searches for a brand, in conjunction with a keyword, it associates the brand with the keyword. An example of this would be “digital camera” for the keyword, and “Sony” being the brand. When someone searches for “Sony digital camera”, Google’s algorithm makes the association – something like: “Oh, Sony and digital camera must be associated with each other”. The idea then is that regular searches for “digital camera” features Sony higher – because that term has been associated with that brand. When selecting a domain, or deciding on a name for your brand, you will want people to type that brand name along with their query for specific products. 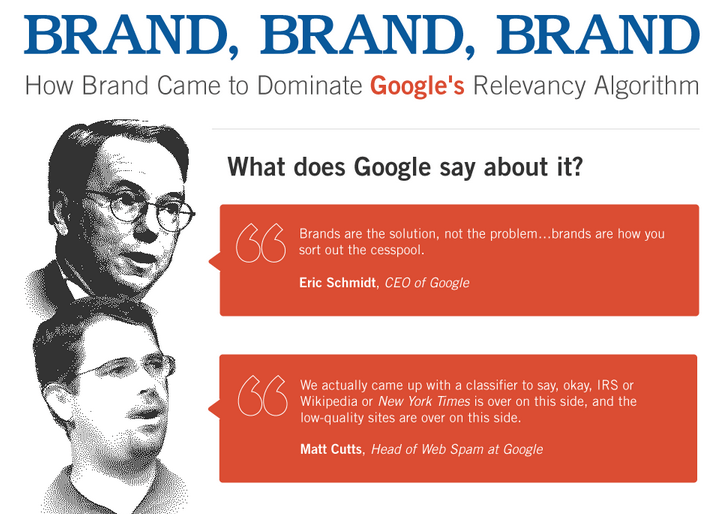 This tells Google that you are a brand, which is a good thing because Google favors brands in search results. 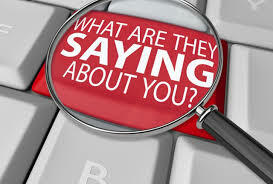 You will want your brand to be easily remembered, and distinct. A brand that mostly pulls up someone else’s results is not a strong choice. You need to easily rank number one for your brand. Your goal should be to continually drive searches for your brand. Of course, you’ll want people to click through to your domain after the search. One of the ways I do this is through social media. I will often link to my site through Google – knowing that the final destination I want surfers to arrive at will have me ranked #1 along with my brand. Anyone who follows the link would arrive at Google, with hermish homepage at #1. They would likely click through to see the result. By doing this, you encourage people to search for your brand. That reinforces the brand in their minds – it trains them to search your site for the seo topics they want, and most importantly – Google gets the hint that hermish is a popular brand that is associated with SEO. Google’s RankBrain is a self-teaching AI program which utilizes many different inputs, including search input, to help influence rankings. Moz has been running experiments since 2014, noticing that searches and clicks influence rankings. 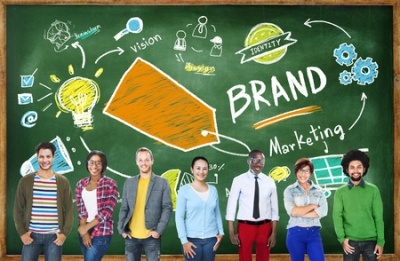 The future of SEO requires promoting your brand.